Garret frills can be a tricky decorating technique to master. They’re a little fiddly and it can take some time to get them just right. Making a gum paste rose is one of the easiest cake decorating techniques you will ever master. You might want a gum paste duck for a baby shower cake or as part of a group of barn yard animals for your cake or cupcakes. Fondant bow directions vary according to the size and type of bow desired. If creating a dramatic decoration for the top of the cake, the bow should be proportionately larger and can be assembled directly on the cake. 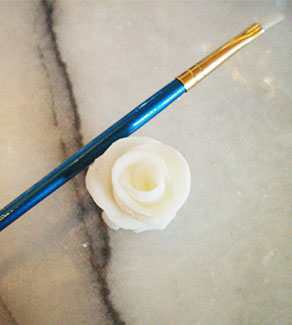 When making roses out of icing, either a stiff consistency buttercream or stiff consistency royal icing works best to hold the shape of the petals. The delicate, lacy designs you see on cakes is filigree icing work. This squirrel cupcake decoration makes for an unconventional Thanksgiving dessert. The squirrel is accompanied by a fondant acorn and decorated with a touch of edible glitter to make him festive for the holiday season.